Whether you call them Secretaries or Administrative Assistants, these people are invaluable. It’s important to grease the wheels acknowledge their contributions and thank them for their services. As a member of our school’s Sunshine Committee, I made this card for our school secretary/AA to go along with a little something. The card is from SVGcuts.com. It’s called 3D Flower Card. I think it was a freebie, and can’t find the direct link, but there are several like it in their Bea’s 3D Cards collection. Here’s a close up of one of the 3D flowers. 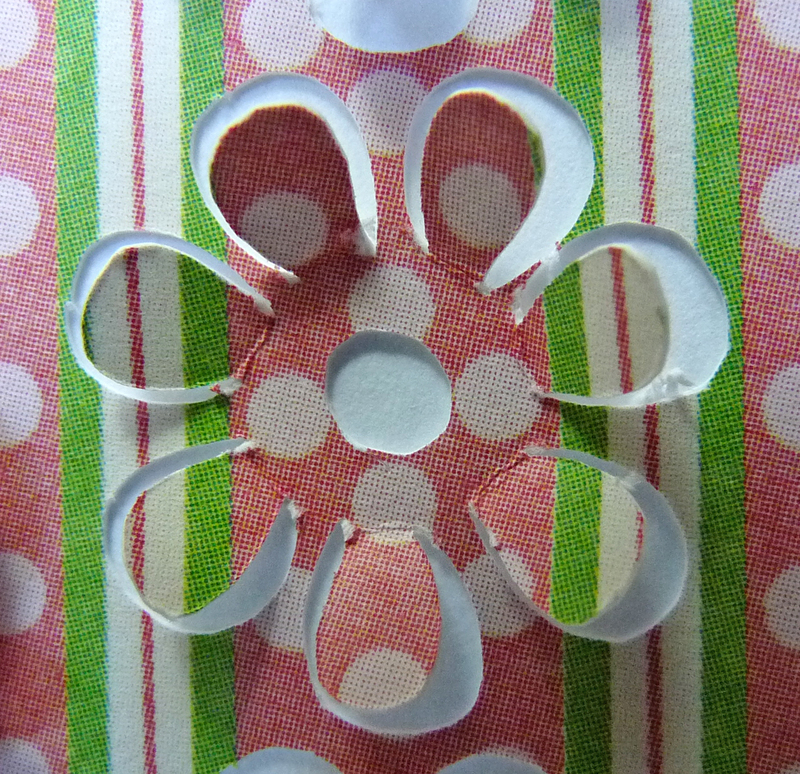 The paper is from DCWV Nana’s Nursery pack. The cute bear bearing flowers (get it??) 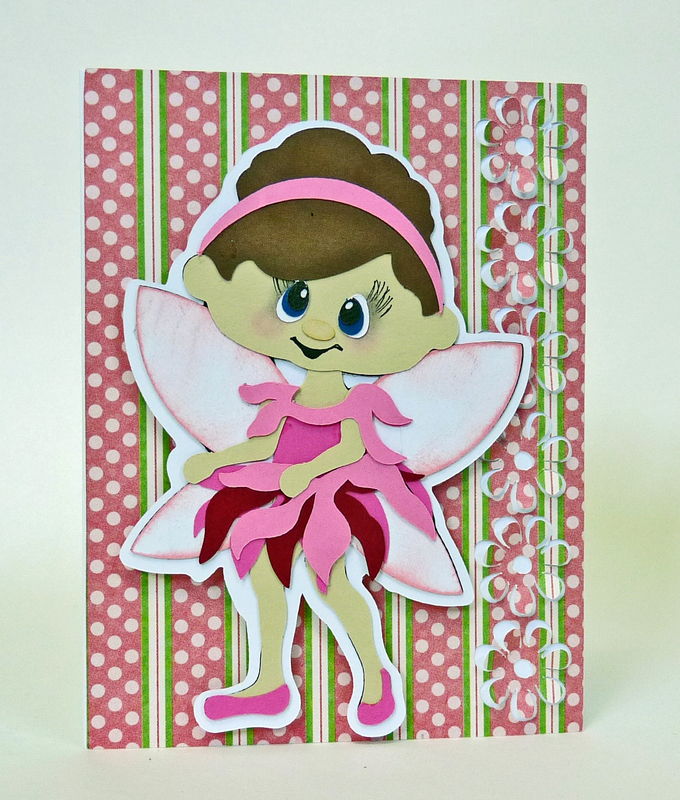 is a digi-stamp from Paper Crafting World called Bear in Sundress with Daisies. 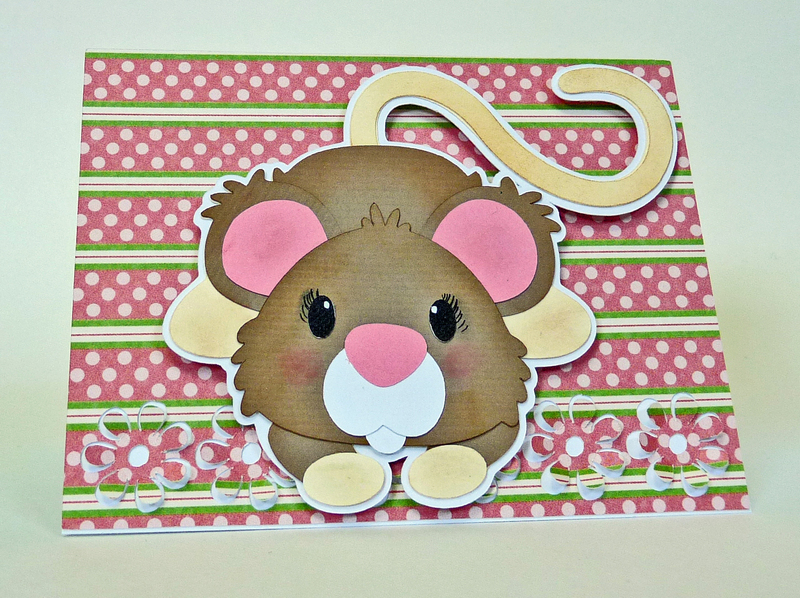 This cute mouse is from Little Scraps of Heaven, the Autumn Blessings collection. This adorable butterfly is the (hopefully soon-to-be-released) Celeste Butterfly from Paper Crafting World. I left the inside of both cards blank. That way I can use them for almost any occasion just by stamping or writing an appropriate sentiment, or use them for note cards. That adorable bird is clip art from (now-defunct) pcCrafter, a collection called Bird Life 1. 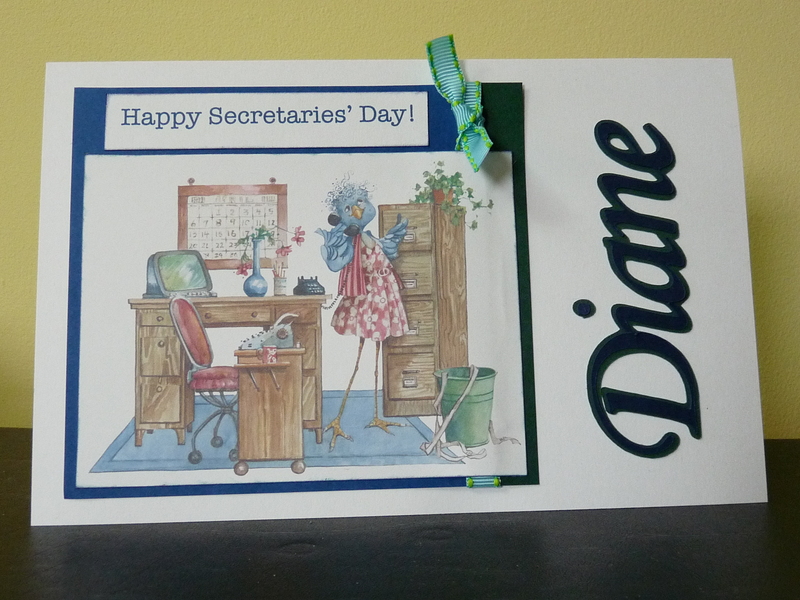 Happy Secretaries’ / Administrative Assistant’s Day! Thank you for all you do to keep the world running smoothly! 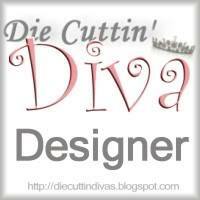 This entry was posted in Paper Crafting and tagged card, Secretaries Day. Bookmark the permalink. This is wonderful….being a teacher I know all the hard work they do to keep things going in the workplace. I LOVE LOVE this set and a few others in that series and was not aware of this store and now it is close. My email is celyinscatatt.net. Could you please write me regarding two questions I have.